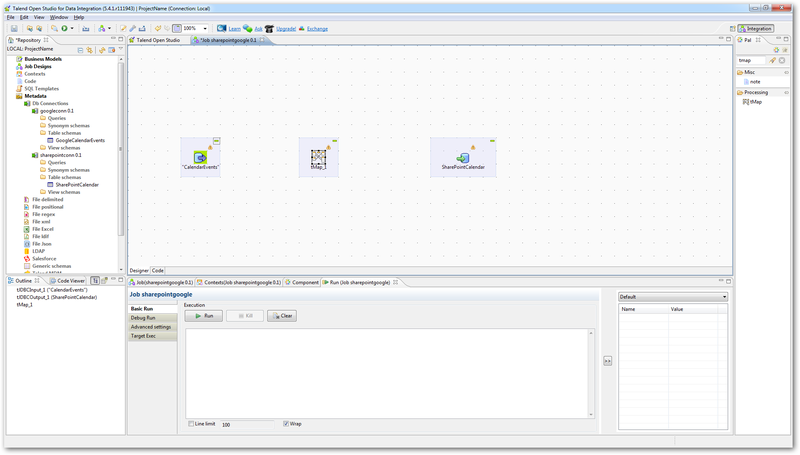 The CData JDBC drivers enable access to new data sources in Talend Open Studio. 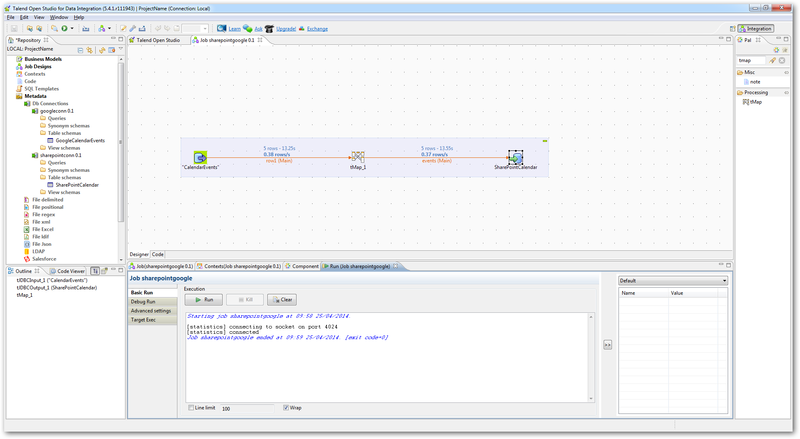 The JDBC drivers simplify accomplishing ETL tasks in Talend: You can follow the procedure below to integrate any CData JDBC driver into your workflow as a JDBC source or a JDBC destination. In this article, we use the driver to synchronize Google and SharePoint calendar events in Talend Open Studio. 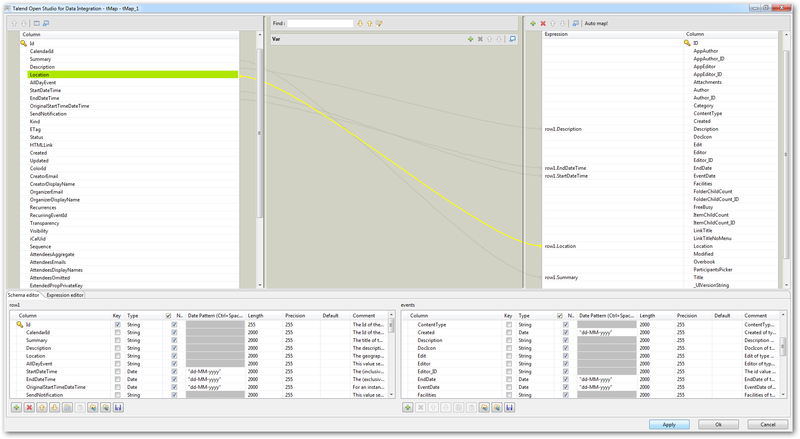 Add a new database connection by expanding the Metadata node, right-clicking the Db Connections node, and clicking Create Connection. In the resulting wizard, enter a name for the connection. On the next page, select Generic JDBC from the DB Type menu and enter the Google connection details. You will need to specify the path to cdata.jdbc.google.jar, which is located in the lib subfolder of the installation directory. Follow the same procedure to create a SharePoint connection. Right-click the Google database connection and click Retrieve Schema. Select the CalendarEvents table - by default this table shows the events for the default calendar of the user. Then, retrieve the schema for your calendar list in SharePoint. Proceed through the resulting wizard, selecting the CalendarEvents table. Next, create the components that will perform the input, output, and column mappings. Expand the node for the Google database connection and drag the CalendarEvents table to the workspace to create a new tJDBCInput component. Next, create a tJDBCOutput component for the SharePoint calendar list you will import calendar events into: drag and drop the icon for the calendar table on to the workspace. Disable the Use Batch Size option on the Advanced Settings tab for the tJDBCOutput component, the SharePoint calendar. Click run to transfer your Google Calendar events to SharePoint.